Our clients can avail from us a comprehensive range of Stack Assembly/ Rectifier Assembly unit for single & 3 phase in various sizes and specifications. These are widely appreciated for their consistent performance and longer service life. 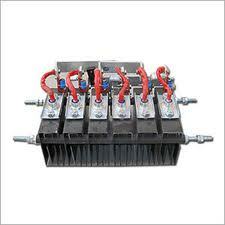 Our product finds application in various electrical industries. Available in: Single phase rectifier assembly - for Diodes, Single phase rectifier assembly - for SCR, 3phase rectifier assembly - for Diodes, 3phase rectifier assembly - for SCR. 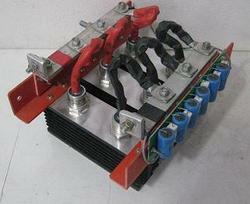 Commonly known as Welding rectifier stack assembly. 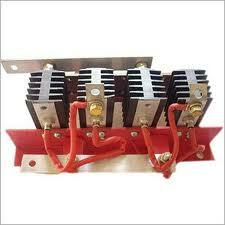 Single and three phase rectifier assembly unit available with 150amp Diode/ Scr , K4 type heatsink.